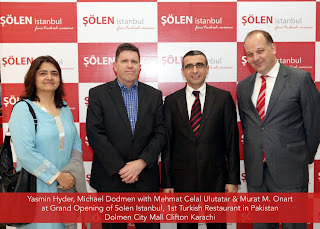 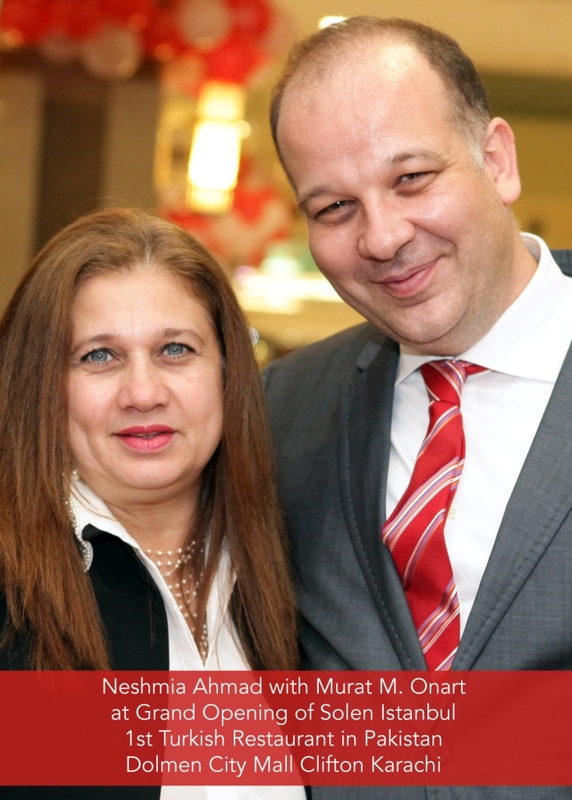 A grand opening of Solen Istanbul, the first Turkish restaurant in Pakistan was held on Friday 15th February 2013 at Dolmen City Mall. 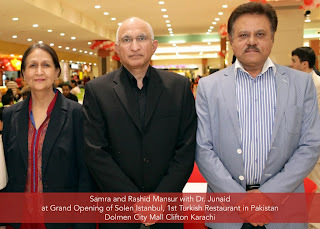 The opening was attended by H.E Consul General Turkey Mr. Murat M. Onart who welcomed the launch of the first Turkish restaurant in Karachi and Pakistan and emphasized the close brotherly relations between Pakistan and Turkey. 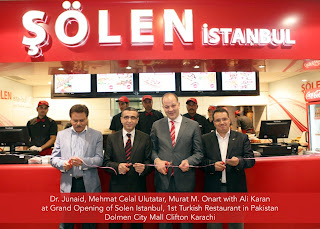 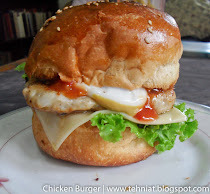 Solen Istanbul is a chain of restaurants based in Istanbul, Turkey. 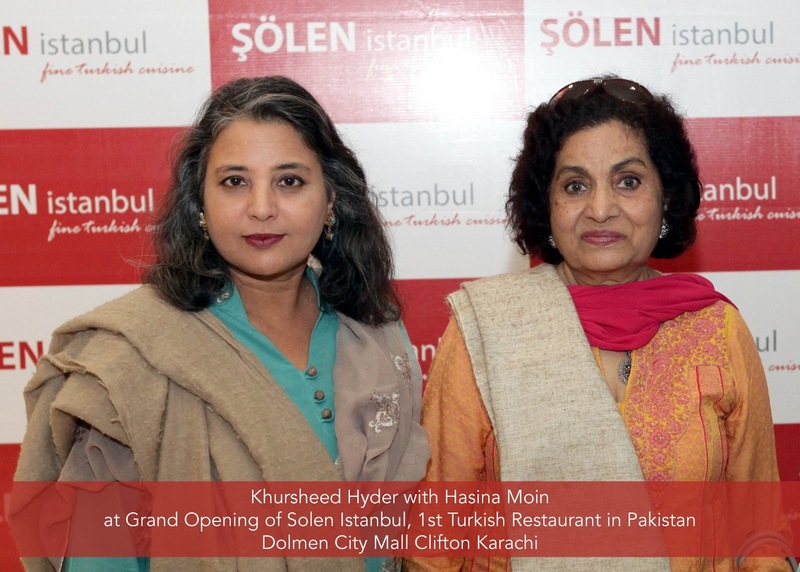 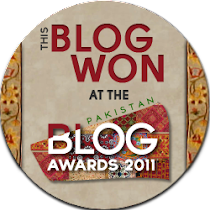 The restaurant aims to introduce authentic Turkish cuisine to Pakistan. 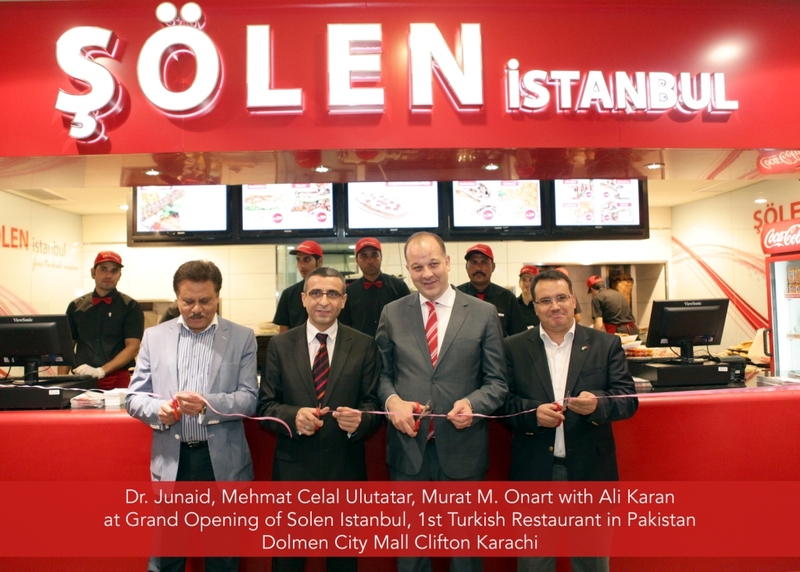 Specialties at Solen Istanbul include Lahmacun, a Turkish style pizza, Kofte Izgara, grilled Turkish meatballs and Iskender, a Turkish style shawarma prepared from thinly cut grilled pieces of lamb basted with hot tomato sauce. Solen Istanbul’s special desserts include Sutlac, a creamy Turkish rice pudding. 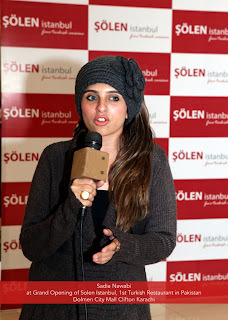 The Solen Instanbul team also includes two chefs flown in from Turkey. Mr. Mehmat Celal Ulutatar, who owns and operates Solen Istanbul, has been in business for more than 20 years. 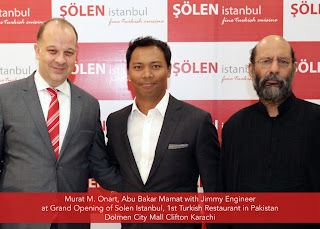 He is planning a second Solen Istanbul restaurant in Karachi as well as openings in Lahore and Islamabad. 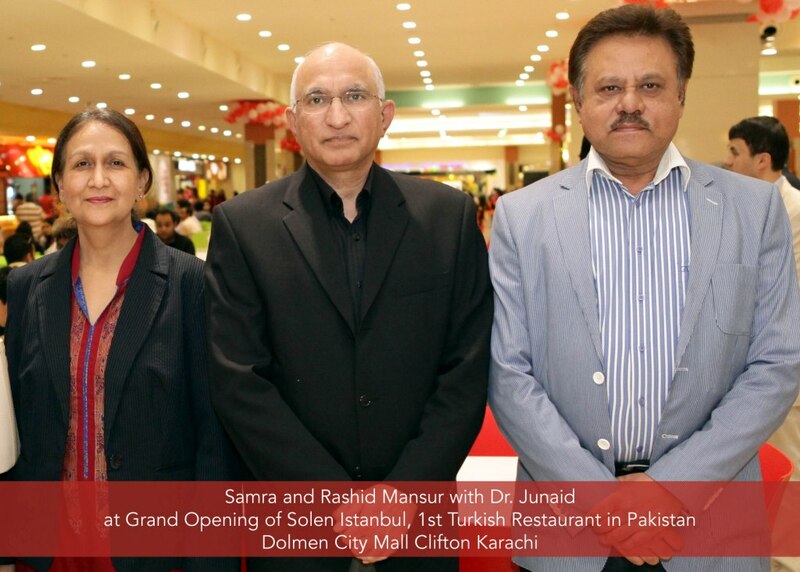 A number of celebrities and socialites attended the opening. 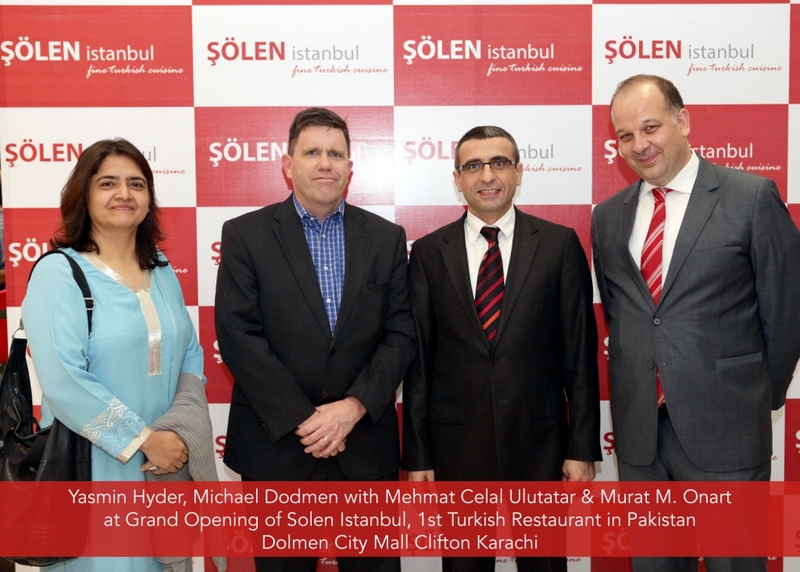 The opening of Solen Istanbul adds further impetus to the growing economic and business relations between Pakistan and Turkey with increasing investments by Turkish entrepreneurs in Pakistan.